A powerful step forward for the world’s best-selling electric vehicle. Get ready for a whole new way to drive, where the everyday is exhilarating. Feel more confident, excited, and connected – wherever you go. All in a car that does simple things amazingly. Bold looks are only the beginning. With an advanced aerodynamic design that allows Nissan LEAF to slice instead of smash through the air, you get an impressively efficient ride, not to mention an unbelievably quiet one. Did you hear that? Neither did we. 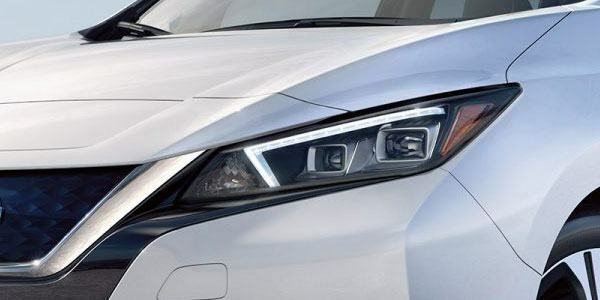 As brilliant at lighting the road as they are at making a statement, the available LED headlights feature a unique square housing that dazzles even when the lights are off. Designed to look like the canopy of a fighter jet, the Nissan LEAF’s pillars meld seamlessly into the glasswork so the roof appears to float over the cabin. 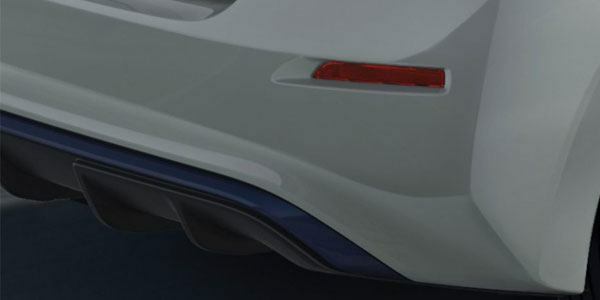 Functional and stylish, the aerodynamic rear diffuser gives the Nissan LEAF the look of motion even when parked in your driveway. With an innovative charging system, it’s never been easier or quicker to get moving. And with a newly enhanced app that gives you access to your vehicle, getting a head start is just a tap away. 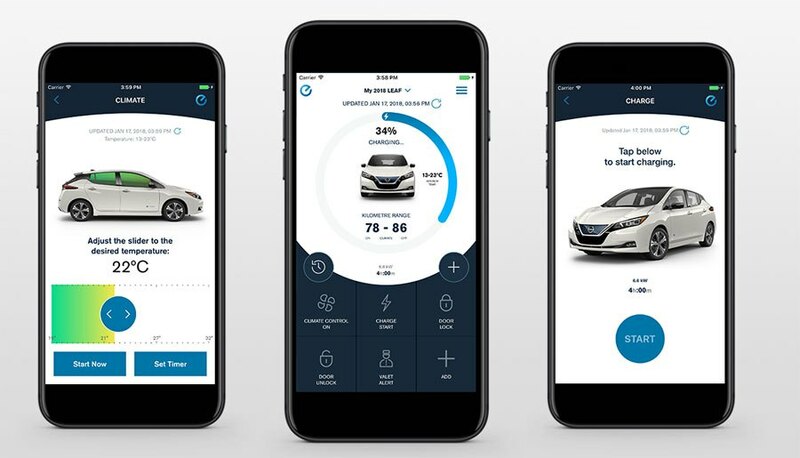 The NissanConnectSM EV App keeps you informed and gives you remote access through your compatible smartphone. You can save money by charging your Nissan LEAF at off-peak hours remotely, bringing the cabin to the perfect temperature before you even get in, and checking the battery charge – all from your phone. With a large network of reliable public charging stations, and more popping up all the time, you’ll never be far from your next charge, or even a very quick top-off. Add advanced charging applications built right into Nissan LEAF, and it’s never been easier to keep driving with confidence. It’s all around you. Bold lines, distinctive touches, and the sense that this is a vehicle like no other. LEAF’s driver-centric environment proves you don’t have to sacrifice comfort or convenience when driving electric. With features like a D-shaped steering wheel, distinctive centre console, and a “floating” touch-screen that puts your phone on centre stage, it’s clear this interior was designed with you in mind. 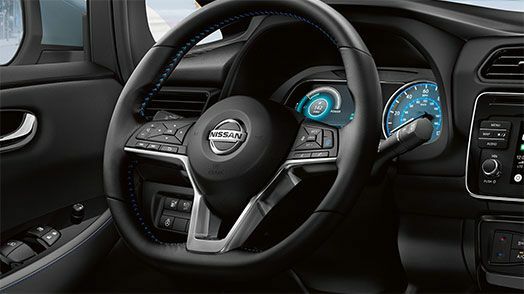 The all-new Nissan LEAF® comes with an available heated leather-wrapped steering wheel, so you can keep warm in a more energy-efficient way than just cranking up the heat. 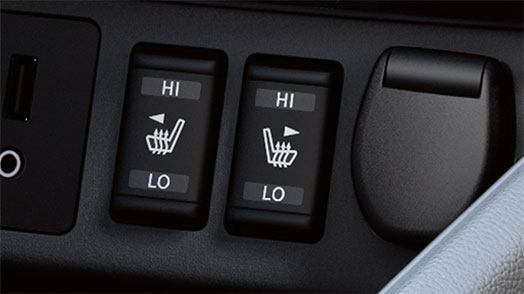 Nissan LEAF® keeps you cozy with available heated front and rear seats that let you enjoy the ride with a little extra comfort. Inside of your Nissan LEAF®, Nissan Intelligent MobilityTM features a suite of technologies that inform, connect, and entertain. Check your range on a customizable digital information display, sync up your compatible smartphone seamlessly, and feel every note of the powerful, yet efficient audio system. It’s all about making every drive a rewarding experience. 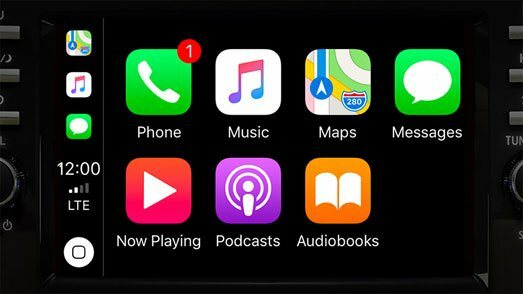 Available Apple CarPlayTM and Android AutoTM take the things you want to do with your compatible phone and put them right on the 178mm (7") colour touch-screen display. Everything important to you is right within reach. 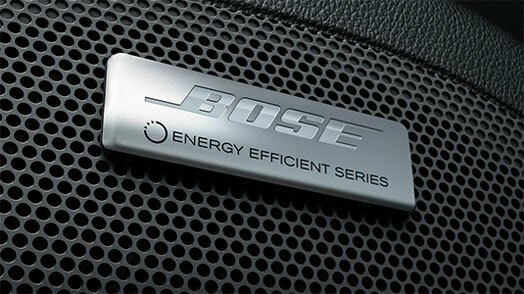 The available Bose® Energy Efficient Premium Audio System steps in to fill your cabin with concert hall sound. Bose® engineers created an audio system that saves power without sacrificing sound quality by using seven small, lightweight, strategically placed speakers. All so you can rock out more efficiently. It’s an experience unlike any other, thanks to the 100% electric motor and some of the most advanced battery technology in the world. The first time you accelerate and feel its 100% instant torque will push you into the back of your seat. You'll wonder how such intense performance can come from a car so amazingly quiet. And when you realize that there is no gas or tailpipe emissions, your Nissan LEAF® will turn your everyday drive into something truly extraordinary. Imagine being able to drive your Nissan LEAF® with only one pedal. Just press down for an instant rush and ease off to slow down—giving you the same pure, direct response for accelerating and braking. It's one smooth motion, and a whole lot of fun. You can even hold the vehicle on a hill without ever touching the brake. And, of course, your brake pedal is still there so you can brake on demand. 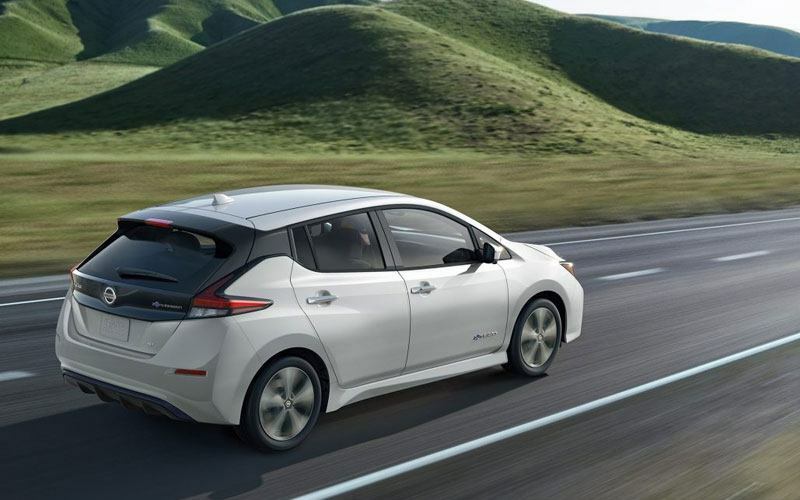 The Nissan LEAF® is just as much fun through the twists and turns. 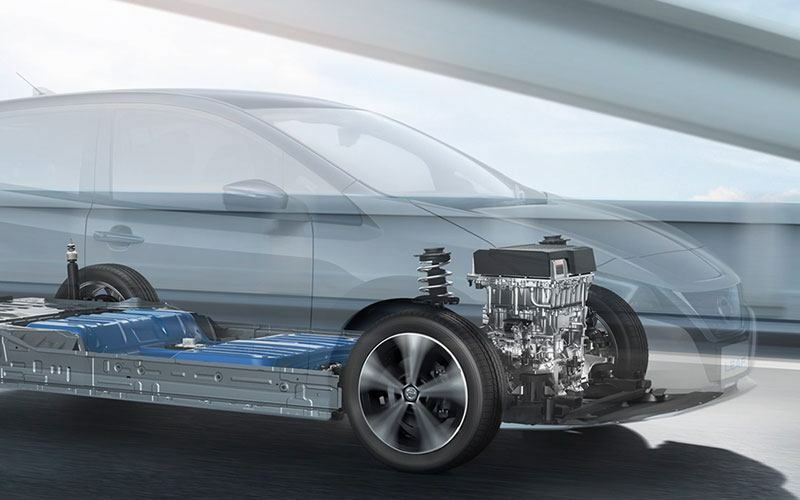 The floor-mounted battery pack creates a low center of gravity for a great ride and smooth handling, helping the Nissan LEAF® corner with minimal body roll. Imagine getting an assist when you need it most, being able to see and sense more around you, and having a little magic behind the scenes helping you drive with extra finesse and precision. It all adds up to more confidence, giving you the freedom to embrace the pure joy of being behind the wheel. Feel free to let go of driving stress. With available Nissan ProPILOT Assist, the Nissan LEAF® helps out on some of the tasks, like following the car ahead at a preset distance or keeping you centered in your lane. It can even bring your Nissan LEAF® to a full stop based on the traffic flow, and get you back up to speed when traffic moves again. Nissan Advanced Air Bag System with dual-stage supplemental front air bags with seat belt and occupant-classification sensors helps protect you and your loved ones in case of collision. It also includes front seat-mounted side-impact supplemental air bags and roof-mounted curtain side-impact supplemental air bags help to add head protection for outboard occupants. Vehicle Dynamic Control continuously monitors your steering and braking, and compensates for oversteer or understeer by reducing motor speed and/or applying brake pressure to specific wheels. 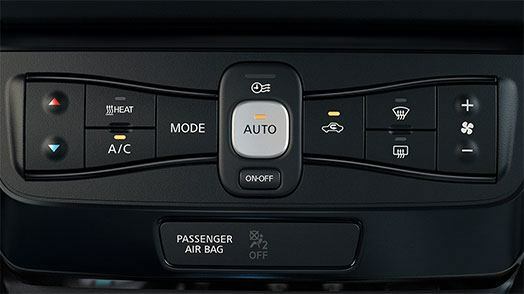 Additionally, the Traction Control System responds to front wheel slippage by instantly reducing motor output, which helps you maintain control. When you have to brake suddenly, the Nissan LEAF’s ABS pumps the brakes faster than you ever could. This helps you maintain control by preventing wheel lockup, which in turn allows you to steer around obstacles in your path. 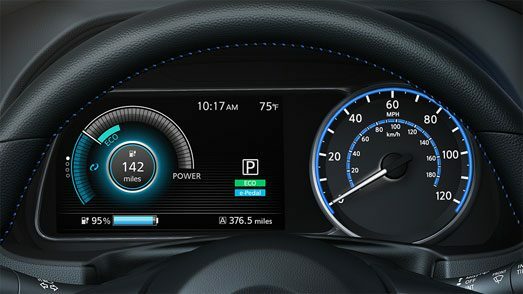 Nissan LEAF’s Tire Pressure Monitoring System lets you know whenever a tire is low. And the Easy-Fill Tire Alert takes the guesswork out of filling your tires with a beep of the horn to let you know when you’ve reached the correct pressure. This system helps you back out of a space with more confidence. 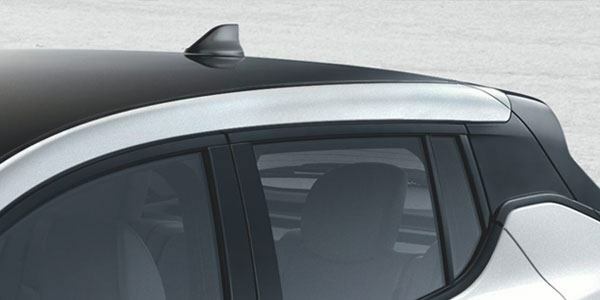 Available Rear Cross Traffic Alert watches around the rear of your Nissan LEAF®, and can warn you about cars it detects creeping up on you from either side. Available Intelligent Around View Monitor features four cameras that give you a virtual composite 360˚ bird’s-eye view of your Nissan LEAF®. Selectable split-screen close-ups of the front, rear, and curbside views can help you slide into the tightest parking spaces and make it look easy – especially with the on-screen warning when it detects moving objects near your vehicle. We're looking at you, shopping cart. When you’re on a steep hill, there’s nothing worse than realizing the car behind you is too close for comfort. Thankfully, Hill Hold Assist can hold brake pressure indefinitely to help keep you from rolling backwards. Bump? What bump? Active Ride Control can automatically apply the brakes and adjust motor torque to smooth out your ride, turning those mountains into molehills. Get Your 2019 Nissan LEAF at Midway Nissan.